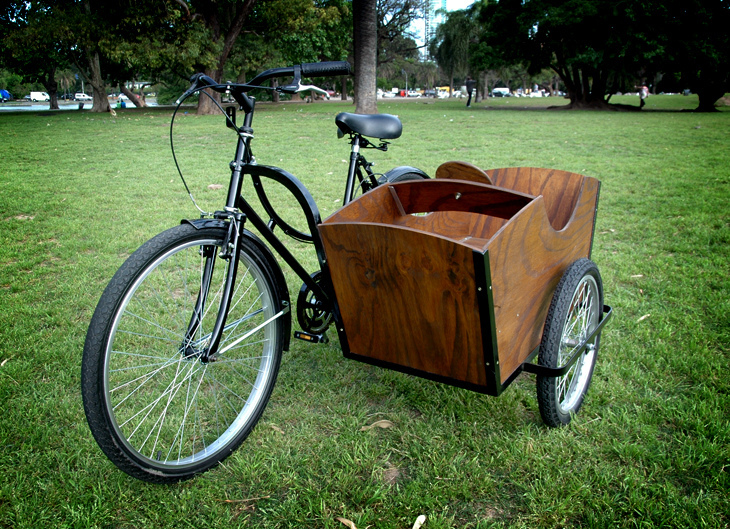 Juan Pablo Cambariere designed and built this beautiful sidecar. Note the steering wheel for the kids too. 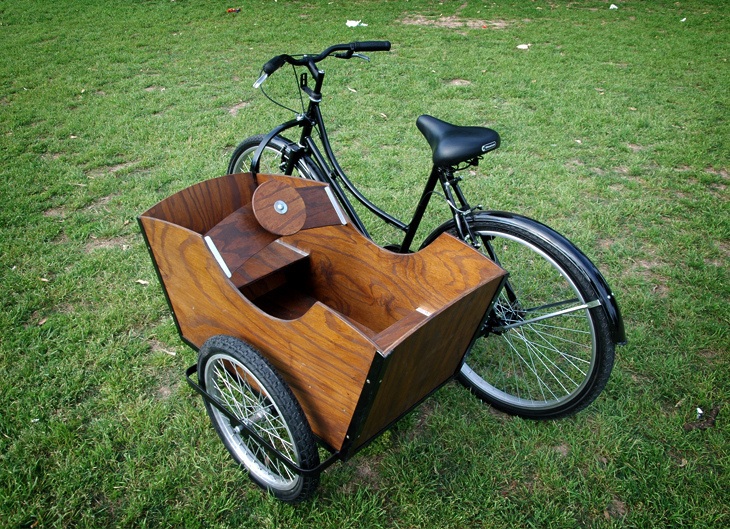 Juan released the designs so other builders can make sidecars too. He’s built three so far and is a Buenos Aires based artist and designer. Next Next post: Are You Fing Blind, BRO! It Wet Bro!